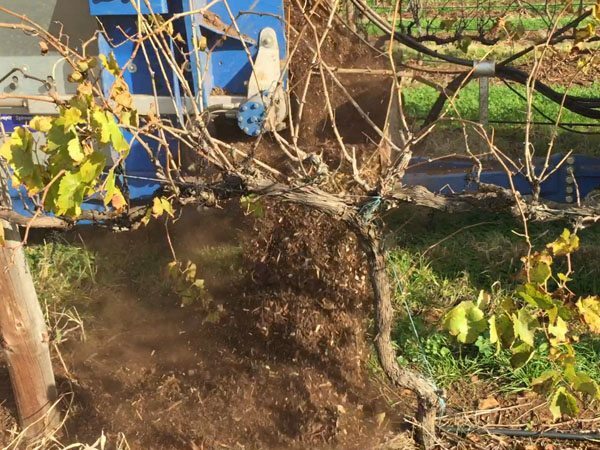 Compost Banding under-vine often occurs in conjunction with our straw mulching program. 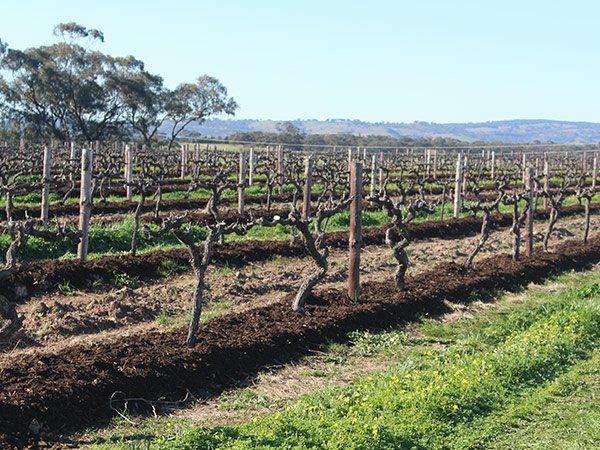 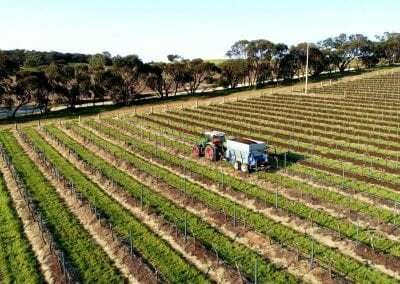 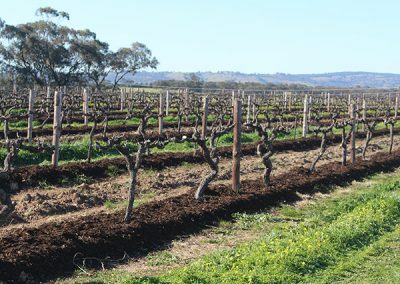 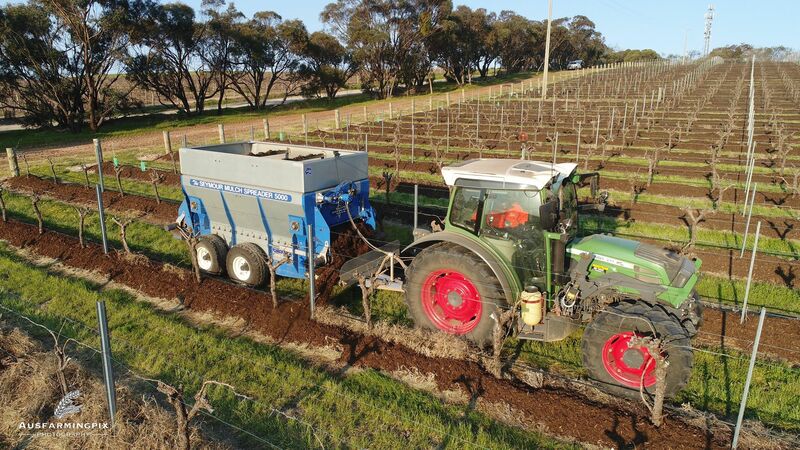 Growers and researchers alike are finding compost and mulch banding to be indispensable aspects of vineyard floor management programs. 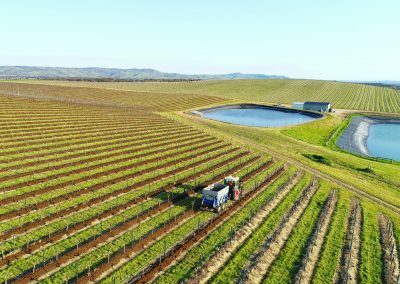 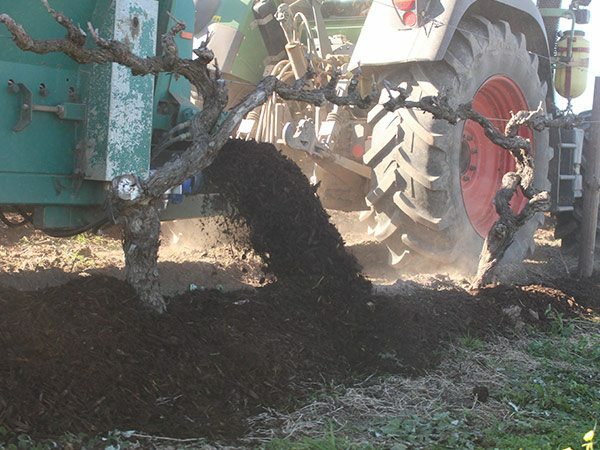 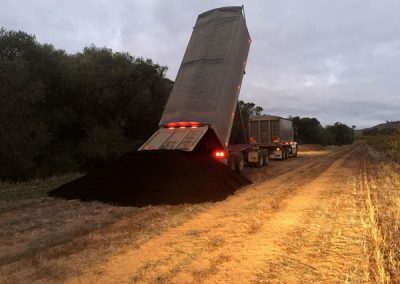 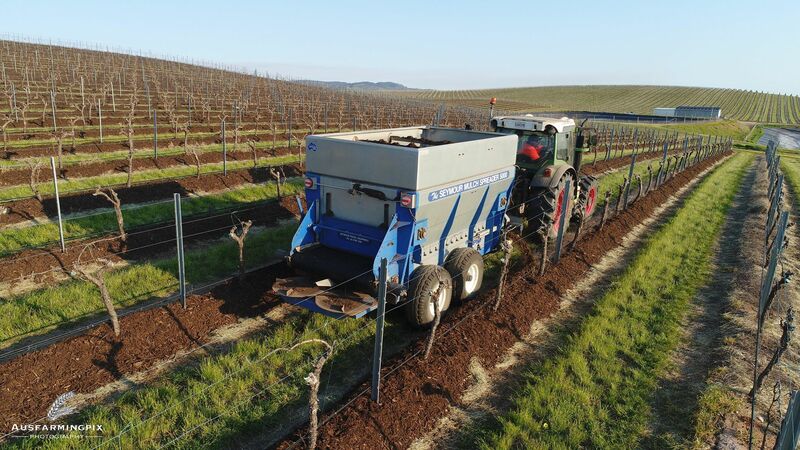 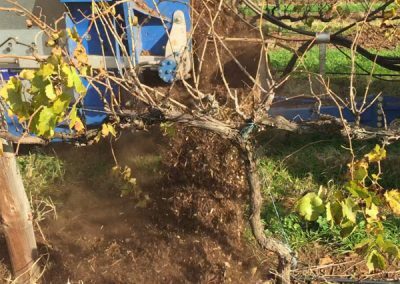 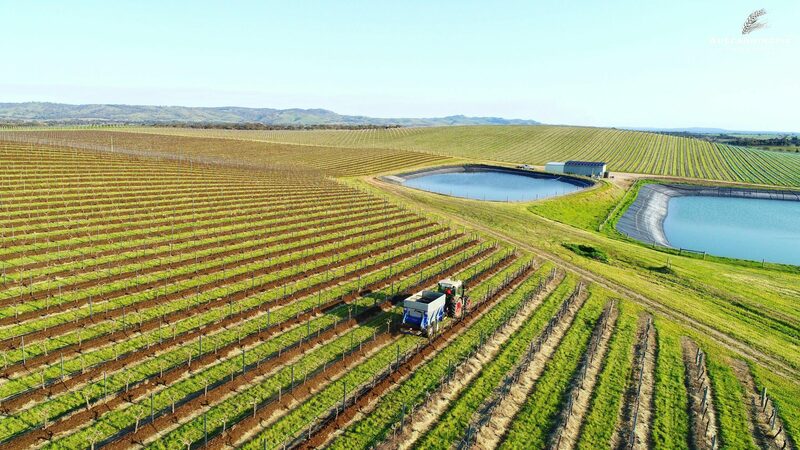 LGVS are using compost and mulch banding for erosion control, soil moisture retention, nutrient content, and as a contribution to overall vineyard health. Compost is a soil amendment resulting from the decomposition of organic materials such as leaves, grass, manure, and grape pomace. 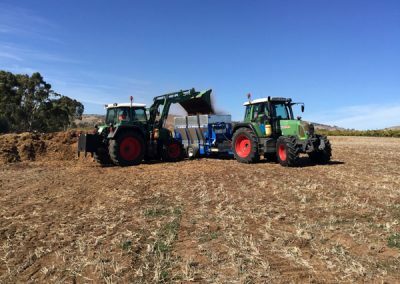 The compost becomes a food source for soil microbes when applied under the straw mulch and it lasts much longer as it is protected from the rapid breakdown than can occur when exposed directly to sunlight. 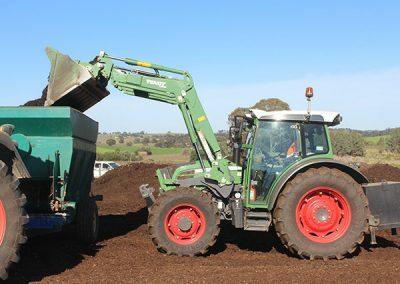 Compost and mulch banding increases soil carbon and improves the soil structure which becomes the foundation for a healthy soil. 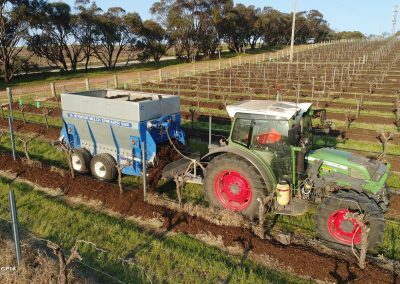 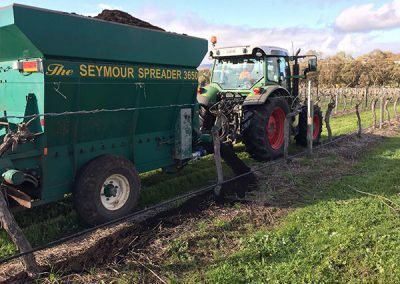 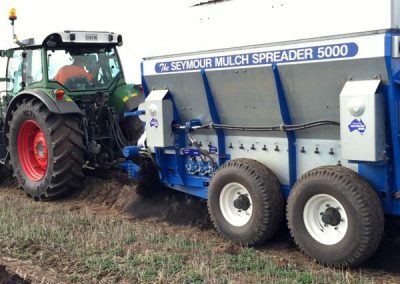 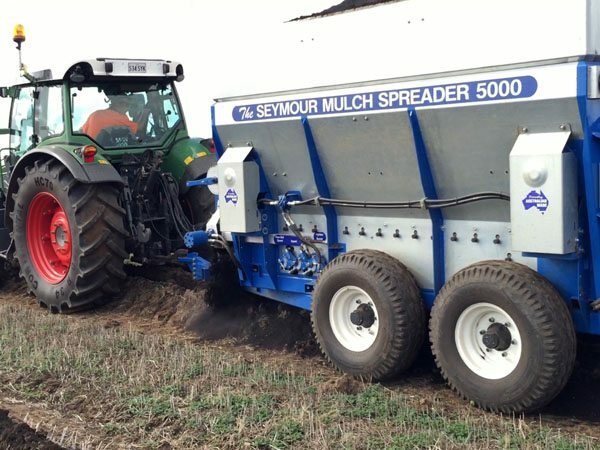 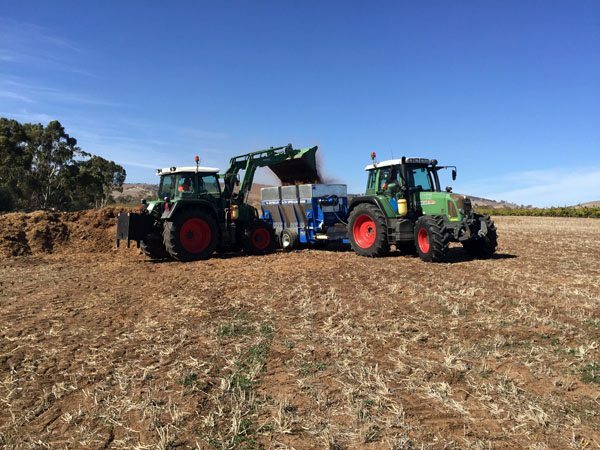 LGVS use a Seymour 7 cubic meter spreader to band compost, mulch or grape stalks under-vine. 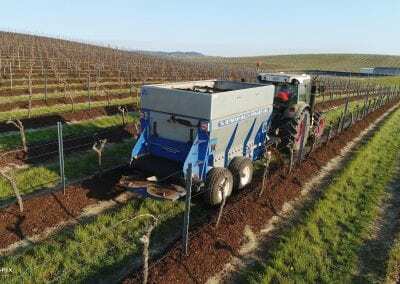 It is available with twin side conveyor belts, or a single sided belt for heavier applications and contoured vineyards.